The East Nashville community is coming together to help one of their neighbors. NASHVILLE, Tenn. (WTVF) — The East Nashville community is coming together to help one of their neighbors. 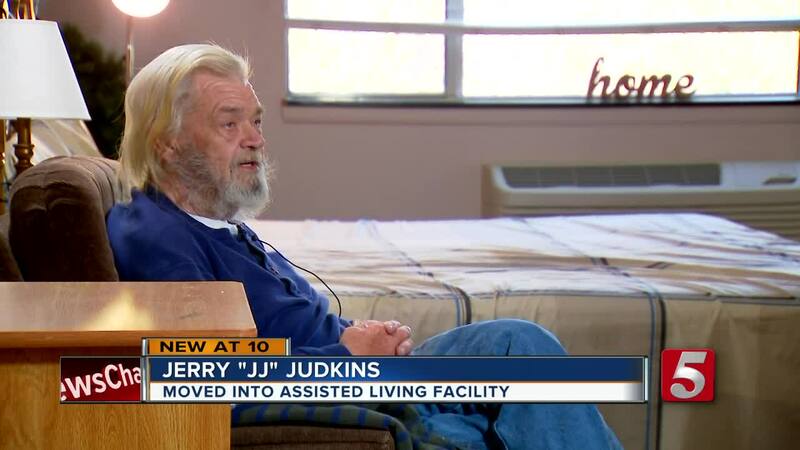 Jerry Judkins, known as JJ to his friends, has been homeless for about 5 years now. Back in January, a group of East Nashville women found JJ sitting outside shivering in the rain. JJ used to work for 23 years transporting bodies for funeral homes and was happily married. But when his wife passed away from cancer it led to him losing his connections to family. He also had to quit his job because of a host of health issues, including untreated diabetes. "We knew with his health we needed to act fast and get him help," said Jessica Wilkens, JJ's neighbor. Over the past month, JJ's neighbors went with him to the hospital and helped him move into Bristol Terrace, an assisted living facility in Donelson. It's a facility that will give JJ the care he needs. "Here I am warm, I got a roof over my head and I also have food I can eat," said Judkins, "I didn't have that when I was outside." Altogether there are about six women spearheading the effort to get JJ the help he needs to get back on his feet. "It's amazing what some of my new friends have done and sacrificed," said Angie Stackhouse, "We treat him like our family." JJ is assigned through his insurance to move from short term physical rehab to assisted living, but it will take approximately 45 days for insurance to approve his transfer. While they wait, JJ is pre-paying for his care at the assisted living facility. They need to raise $6,600 so that he can swiftly move from his current location to his permanent assisted living home until insurance can take over. If you want to help, you can go to their gofundme page.